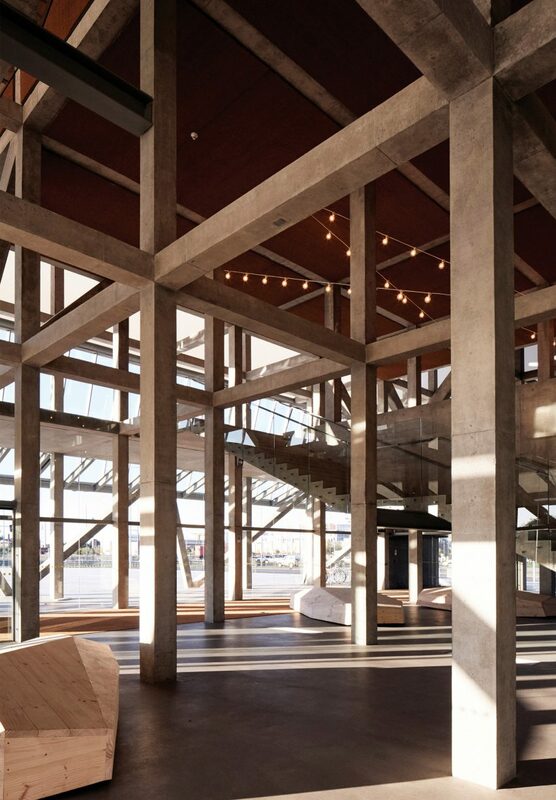 A translucent concertinaed shell conceals the gridded concrete interior of this theatre designed by architects Smiljan Radić, Eduardo Castillo and Gabriela Medrano for the city of Concepción, Chile. The Teatro Regional del Bíobío stands on the edge of the Biobío River that runs through the Chilean city. 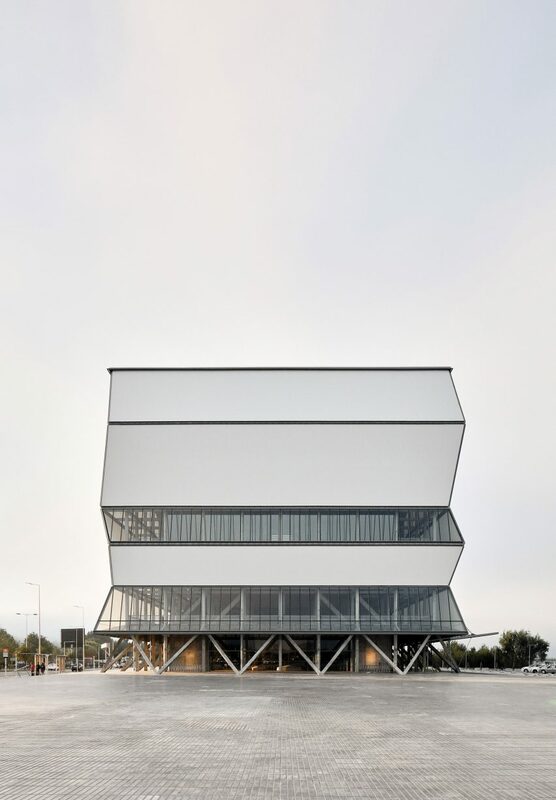 A trio of architects – Radić, Castillo and Medrano – won a competition to design the theatre back in 2011 and it opened earlier this year. A skin of semi-transparent polytetrafluoroethylene (PTFE) is laid over a regimented concrete framework to create this duality. Radić employed a similarly translucent skin of white fibreglass for the globular Serpentine Gallery Pavilion he created in London in 2014. 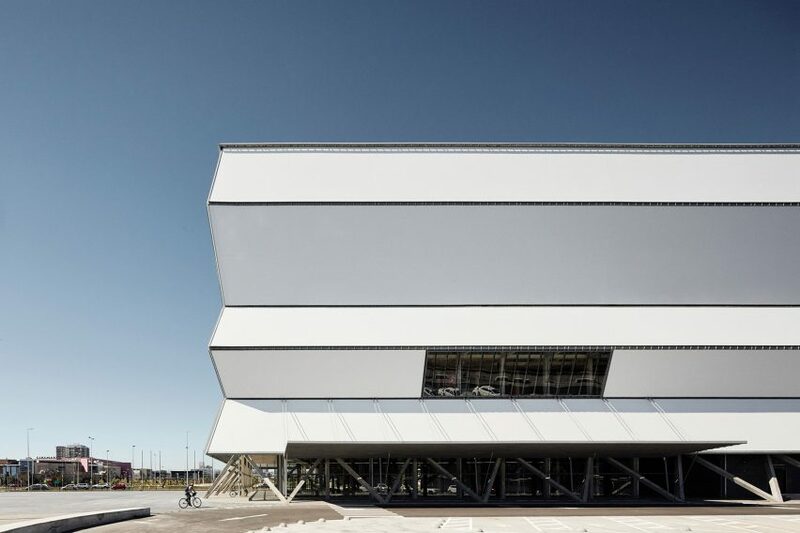 The covering is applied in bands corresponding with the building’s six storeys, with each level tilted in opposing direction to the next to create a concertinaed effect. Light shining through the facade at night lends the form the appearance of a paper lantern on the water’s edge. Sections of glazing set into the PTFE help illuminate lobbies and circulation areas during the day. 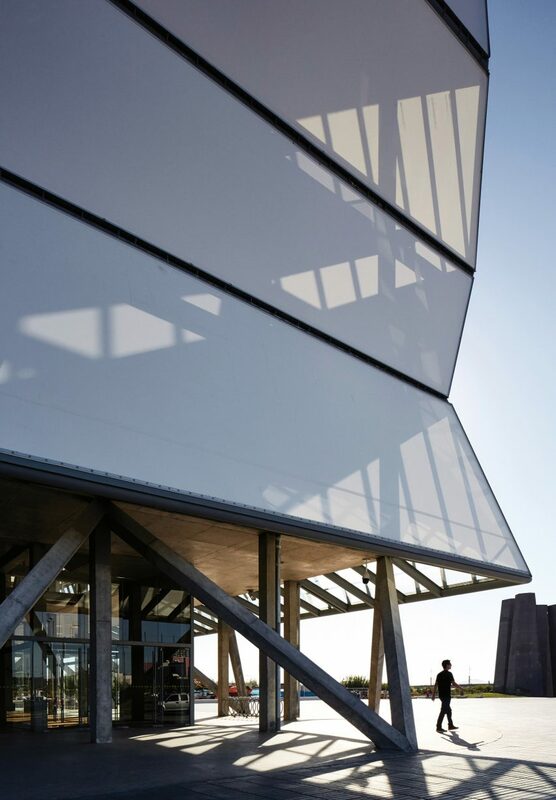 One band of glazing and the concrete skeleton beneath it splay outwards at the base of the 9,650-square-metre building, creating a sheltered entrance off the public plaza that surrounds it. 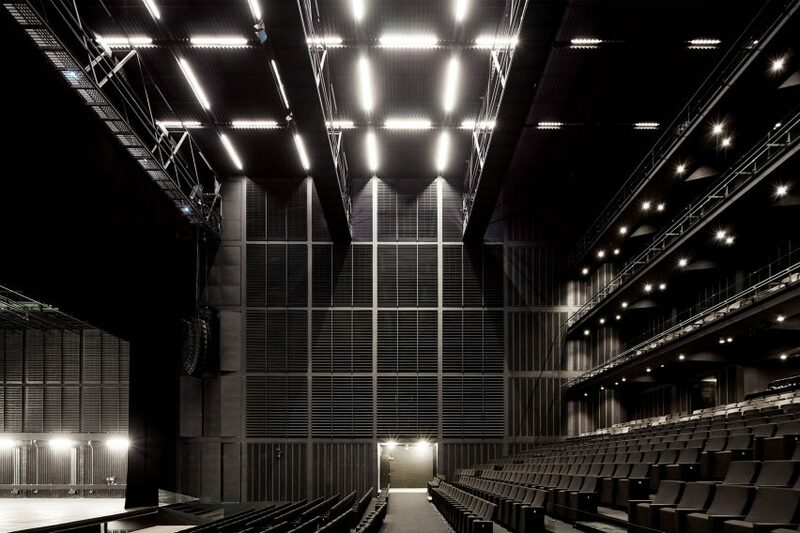 Two theatres and a rehearsal room encased in brown panelling are suspended at different heights within the concrete frame, while the grid is kept open at ground level to create a large foyer. Faceted timber seats shaped like hewn rocks dot the 3.9-metre gaps in the frame, which the architects compare to the scaffolding structures used to support stage props. “Inside, the spectator will move/climb a spatial grid that stubbornly appears to measure/occupy each corner,” said a statement from the architects. Flights of concrete steps with glass balustrades and a pair of glazed lifts adhere to the grid, while diagonals in the framework are accentuated by strings of lights. Inside one of the theatres, strip lights continue the gridded pattern onto the ceiling. The lantern is a popular reference point with architects, and in 2017 American firm Skidmore Owings & Merrill also drew on the form for a faceted tower with a latticed exoskeleton in Beijing.